Fantastic! 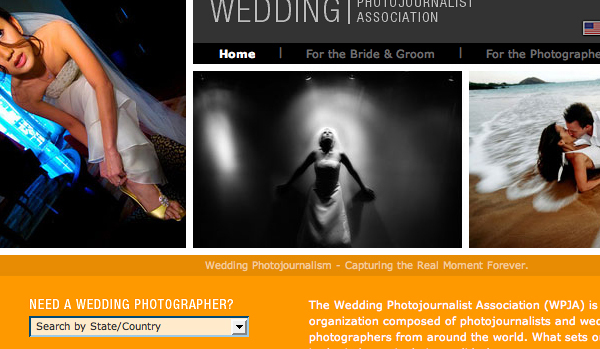 The website of the Association of Wedding Photojournalists features portfolios of the nation’s wedding photojournalists who belong to this association. The portfolios in general are of very good quality and the website features contests that the photographers can submit to. Winners get special distinction on the site as well. Great place to start looking for a wedding photographer. Find photographers working in the photojournalism style across the country by state.